Feel like your home is shrinking more and more every day? Or maybe you have a baby on the way, but no rooms left vacant? You could move, and leave behind the home you’ve put time and effort into for years, neighbors, schools, and an area you’ve become accustomed to, or you could give Sun Boss a call. 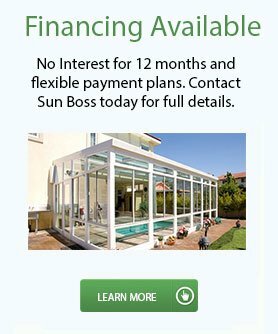 Sun Boss has been creating that extra space homeowners need for over 25 years. When it comes to adding an extra room, the first step to adding an extra room in your home is to come up with possible home addition plans, taking into account the area and space you’re working with. You can choose from a variety of room types to add to your home, including a sunroom, extra bedroom, bathroom, garage, family room, gaming area, home office, kids play room, and the list goes on. A growing trend in today’s society is to add comfortable, private spaces for aging parents, while sharing the traditional family areas. Regardless of the type of room you want to create, it’s important to remember that consistency and continuity work best when it comes to building home additions. This relates to both the home and neighborhood in which you reside. Who can you trust when it comes times to spend thousands of dollars on a remodeling project? You may take a recommendation from your friend, your co-worker, your neighbor. 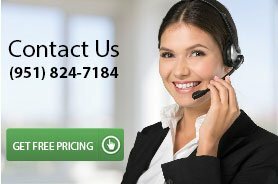 Finding a professional, reputable contractor in the Riverside, CA can be difficult. So your only choice is Sun Boss! From the moment our room addition team arrives on site, you will enjoy our friendly service and our skills at orchestrating the various components of the project. Of course, our commitment to you begins from the moment we arrive for our free, no-obligation consultation. 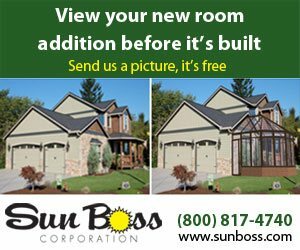 Sun Boss has been designing and constructing room additions for over 25 years in the Riverside, CA and La Jolla areas of Southern California. We have built a strong reputation for providing dependable and quality workmanship that is consistently delivered on time and on budget.